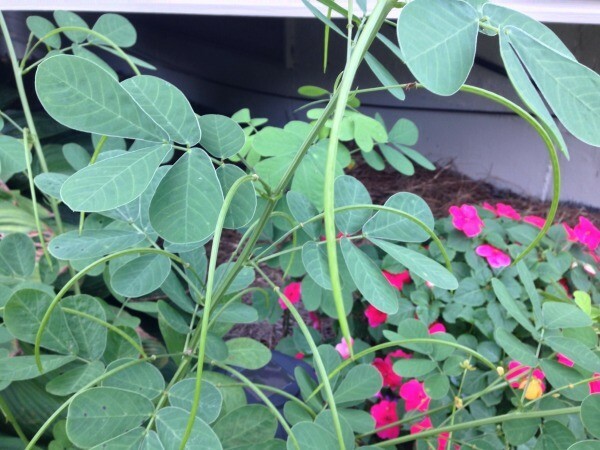 Sicklepod is a legume. It grows wild on many continents and is typically considered a serious weed in most areas. This is a guide about, "What is this plant? 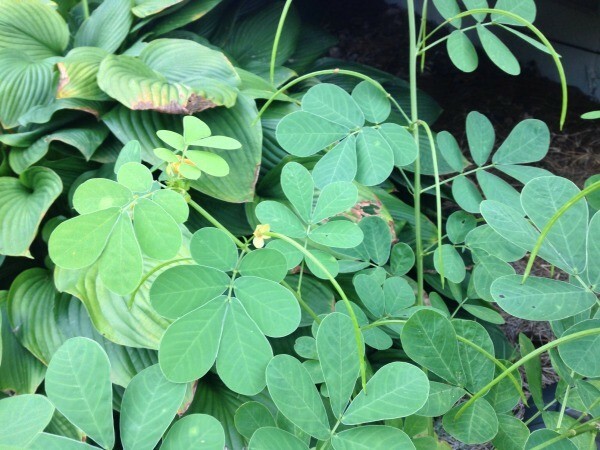 sicklepod (Senna obtusifolia)". This plant just popped up a few weeks ago. 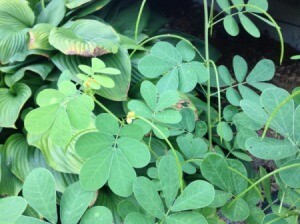 It has many stems each with 6 egg-shaped leaves, and the leaves close at night and open in the morning. 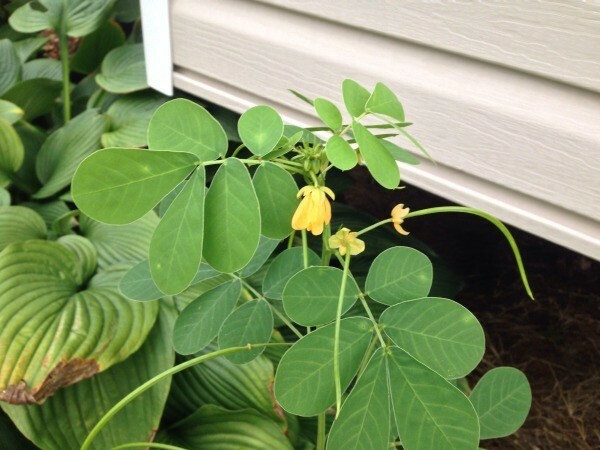 There are yellow flowers which, once fertilized, produce a long seed pod resembling a green bean (4-6 inches). This plant looks identical (leaves and flowers) to a plant previously identified as a common popper bush, but it doesn't have popping seed pods like an impatiens. You can see the long lighter-green downward-curling seed pods in the attached photos. It is Senna obtusifolia, called sickle pod. Major pest in agriculture, considered one of worst weeds. Thanks. Sicklepod, that's it. It may be a pest but I like it. I love the leaves closing in the evening and opening up again the next morning. Do you have any plants, vines in the area that resemble this new plant. Not sure what it is but to me it looks invasive and prolific. Did you spread new mulch this spring? If so that could be where it is coming from. Pull it before the seed pods dry and pop or it will spread. 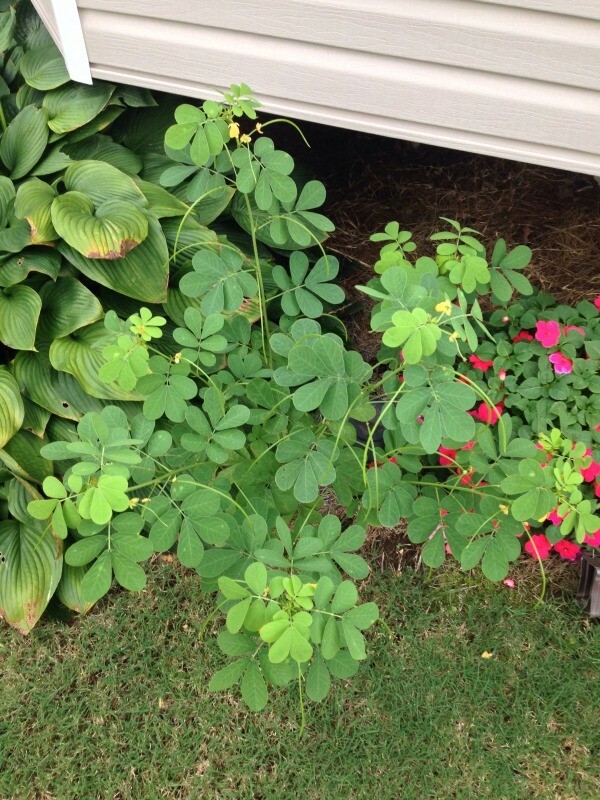 PEANUT PLANT!~ I have a half dozen outside in my garden!